In an ideal world, your leads will maneuver themselves down the marketing funnel. But that’s not how things work. Lead nurturing is essential to urge your leads to go down the marketing funnel- from visitors to leads, buyers, and lastly, promoters. It’s not a one-day wonder. Rather, lead nurturing is a long process. According to Forrester Research, companies that implement lead nurturing practices have about 50% more conversions. Another study from eCommerce reveals that nurtured leads are 47% larger as compared to leads that are not nurtured. Despite the numbers, research shows that only 36% companies have adopted lead nurturing practices (Which is actually low). Lead nurturing is an integral part of inbound marketing. By definition, lead nurturing refers to the various efforts of a marketer to successfully convert a lead to become a buyer and then promoter. It is not forced marketing. Rather, lead nurturing involves content that is relevant. In other words, you can call lead nurturing as a relationship building process- where a brand tries to get the attention of their target buyers and build a personal relationship with them. You, as a brand, listen to their demands, complaints, and needs. In return, you provide information and answers that they need. Through this communication of educating and creating awareness, your prospective leads slowly become your customers. Why do you need Lead Nurturing? According to a recent research, about 96% leads that visit your website are not yet ready to buy. It is on you to push these leads through the funnel by educating them. Lead nurturing can be broadly divided into three basic stages: Awareness, Consideration, and Decision. Only when a lead reaches the ‘Decision’ stage, you can start pitching your products and services directly. Prior to that, all you do is build a relationship. Does Lead Nurturing end with ‘Decision’ stage? NO. There is no ‘end’ to lead nurturing. Let me give you an example. Sometime back, I traveled to Europe with Emirates. Now talking in marketing terms, I have purchased a flight from Emirates, indicating that I have come over the ‘decision’ phase and am now a customer. 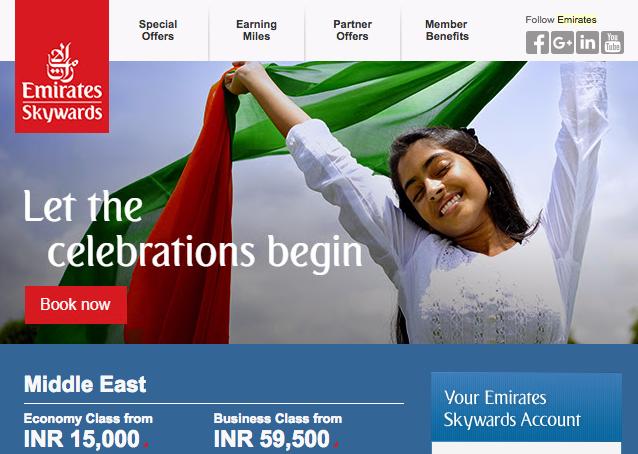 Ideally, I have reached the end of the marketing funnel of Emirates. Hence, there’s no more nurturing required for a lead like me, isn’t it? After I made a purchase, it was evident I have invested my trust in this brand. I have picked this brand out of many other options who were offering me flights on the same route. And Emirates as a brand now knows that. If a brand leaves a lead like me on my own, chances are that I will forget this brand in the long run. It’s not like I am traveling to Europe every day! Let’s say Emirates stop connecting with me henceforth. On the other hand, other brands who still consider me as a potential lead after I browsed their websites will keep connecting back. Chances are high that when I will need to book another flight, I might just not opt for Emirates again. Because all these while, other flight operators reached out to me with best deals. To cut the long thing short, Lead Nurturing is like a cycle-it starts from the time a visitor arrives on your website and continues as long as the association continues. So, how does a brand nurture their leads effectively? Let’s take a look at the above email from Emirates again. It has a tagline “Let the celebrations begin”. If you look closely at the image- It is personalized. How? Look at the Tri-colour dress code of the girl in the image. This email is designed for a customer like me, residing in India and is scheduled just prior to Independence Day. Emirates is a global company with customers spread across so many continents. So, this email is not for all the customers. It is only for those residing in India or frequent travelers to India. You see, it is a common human psychology to get all perked up when an occasion is around the corner. Most people opt to travel during these holidays! This brings us to the conclusion that this email is well planned, designed and targeted. The immediate question is how? And the most obvious answer is: Marketing Automation. Marketing automation is a software that helps in automating certain repetitive marketing tasks like emails, website actions, social media, etc. Without marketing automation, it is not possible to nurture leads effectively. To nurture a lead properly, you will need information about that lead. This is followed by segmentation, email campaigns, education content, social media interactions, etc. Before you start nurturing your leads, it is important to create your buyer’s persona. 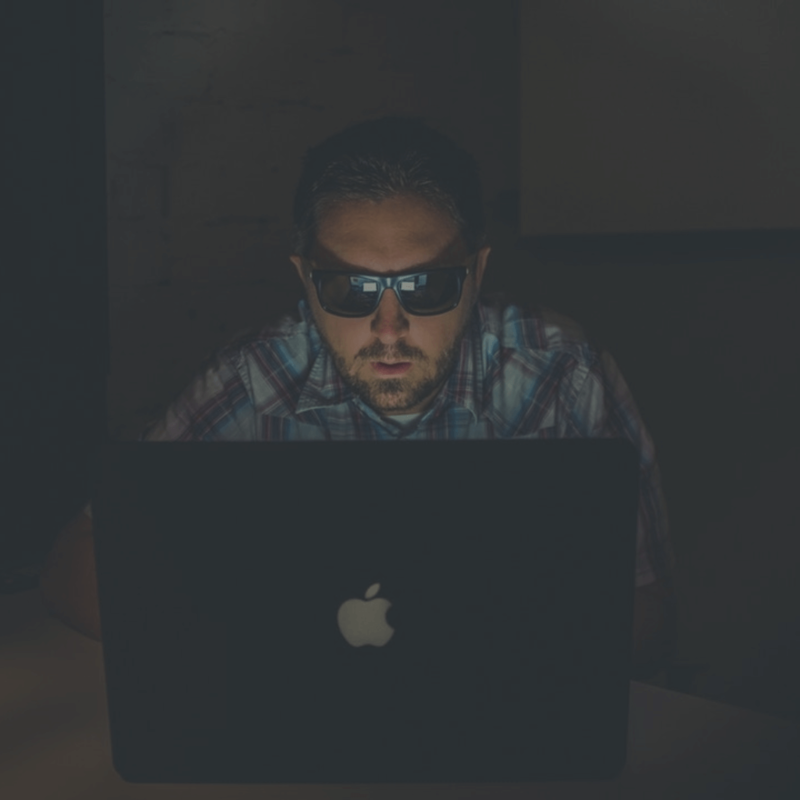 Buyer’s persona is a semi-fictional representation of your leads after they have signed up or subscribed to your platform. You use a marketing automation tool to put together all the information of that lead in one place and segment it based on demographics, browsing behavior, job title, etc. By creating a buyer’s persona, you can understand what kind of solutions or services that lead will benefit from. Depending on their browsing pattern, you can assume their problem statement, followed by which you can send resources. Lead nurturing requires a detailed understanding of your leads. And marketing automation is the key to it. 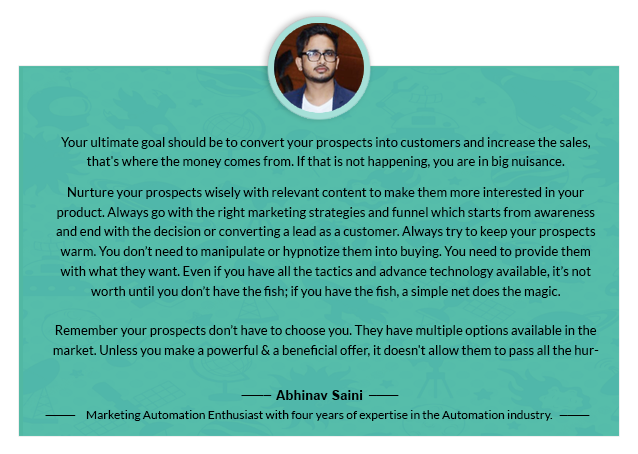 Here are 9 effective ways in which marketing automation aids lead nurturing. All lead nurturing activities begin with proper segmentations. So, the first way to improve lead nurturing is by improving email list segmentation. And that will be our first point of concern in this list. Demographics like age, gender, location, country, religion, etc. Events, where a particular action triggers emails that are pre-planned. Buyer’s stage- based on the stage of your buyer, leads are segmented and email campaigns are redirected. Website behavior of your leads on your website or app. Now let’s take a deeper look into how automated segmentation improves lead nurturing. Remember that email I shared from Emirates in the beginning? Yes, that tri-color dress code one. That is an example of an email targeted to Indian audience like me. 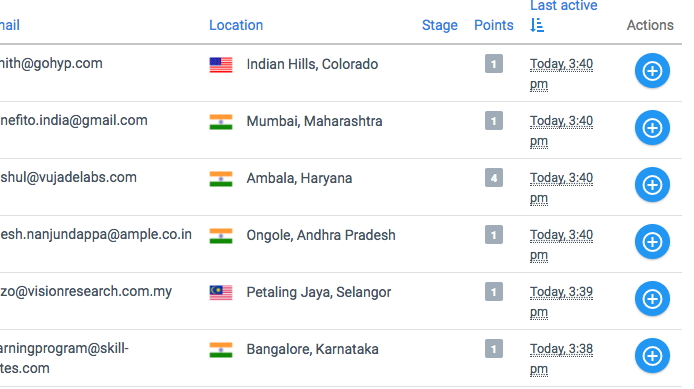 This means, the moment I had signed up, I was segmented into a list based on my ‘country’ details. Looking at my previous purchase history, they sent me an email containing details of flights routes that I might be interested in. You can say, a lead with details like me made way into two lists- one was based on my country, the other was my purchase history. That’s precisely how demographics contribute in targeted emails. Now, take a look at this email from DropBox. 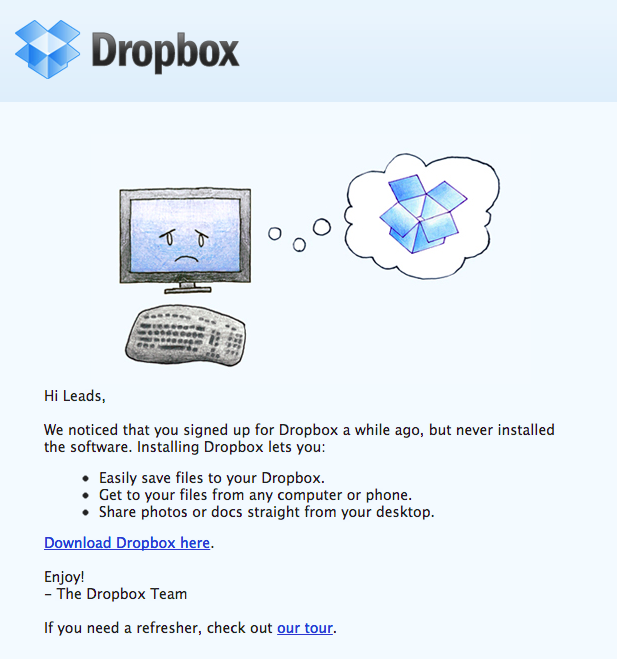 This is an email specifically designed for leads who signed up with Dropbox but never installed it. These leads have stopped right at the top of the marketing funnel. Also, you can call this email as a re-engagement email, sent to leads who haven’t engaged with Dropbox for a long time after signing up. That’s how buyer’s stage is considered for better lead nurturing. Next, we have lead behavior. Here, let’s take Amazon for example. 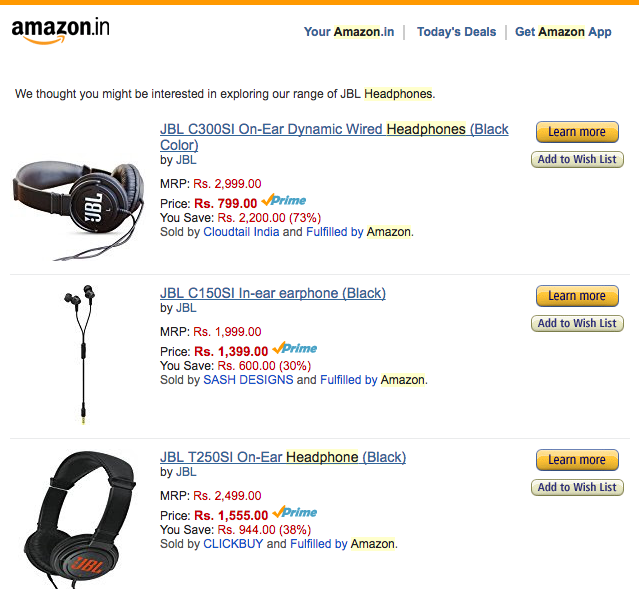 Few days back I was looking at some headphones. Although I wasn’t very keen on buying one, I was casually browsing. And then I quit to move on with my other works. What follows next is an email from Amazon with a compilation of headphones that might interest me. Since I spent considerable time on their website browsing headphones (particularly of the JBL brand), I received an email aligned to exactly what I was looking for. This email is based on my behavior on their website. Since I spent majority time browsing a particular brand (here JBL), Amazon designed an email with the best offers from that brand only. This is another way of nurturing leads where you send emails on exactly what they were looking for and making the task easier for them to get going rather than quitting. And yes, this is just the first email out of many more that Amazon sent me. Interestingly, their emails are not annoying or interruptive. Rather they are carefully designed, timed and aligned. That’s how automation is put to use to nurture leads. Talking about the buyer’s stage in which I was, in this case I was in the decision phase- where I had decided my choice of brand and price range. Welcome email- when someone subscribes or signs up or joins a group/community. Thank you email- when you have made a purchase or donated something or given a feedback. 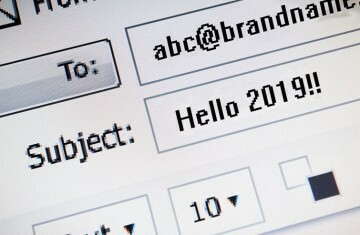 Onboarding emails-where a brand sends series of emails to help their new leads in getting started or a series of emails to educate leads more about the industry. You can make use of autoresponders for situations like ‘new subscription’, ‘new comment’, etc. You can also create drip email campaigns that trigger emails based on the user behavior. Drip emails are mostly designed on the “if-then” condition. Like, if a user clicks on the in-mail link and visits your new page, then you will send more updates on how it will benefit him/her. Else, you send more educational content so that they visit that page next time. I did browse the ‘business’ section once, but I did not spend a lot of time in clicking the links and checking them. 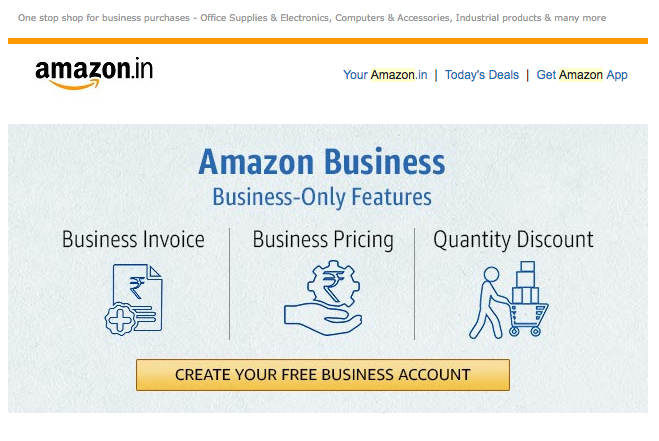 Amazon sent me this email where it has highlighted the core three benefits I will get if I create a business account for FREE. Yep! that free word has a lot of weight than said. But that was not all in that email. It also had details of various products that I had recently browsed through their portal. So, while their main aim was to tell me about the benefits I might be missing out on, they also made sure I never forgot those items that took me to Amazon in the first place. You have written an answer to a question. Someone else found it useful and gave it an upvote. It is a human psychology to feel good when your work gets appreciated or recognized or helps someone else. With an email like this, you will automatically click on the link and visit that answer again. Once you reach the platform, you see many other questions posted on a topic that you can contribute to. Since you have received an appreciation, you are most likely to answer another question. And that’s how Quora ensures user engagement. I’m not saying you’d do this every time, but once in a while, you will! Lead scores are scores that you assign to each lead depending upon their behavior and engagement with your emails, on your website and app. For each activity, you assign a score. The lead that has the highest score is the most potential lead. 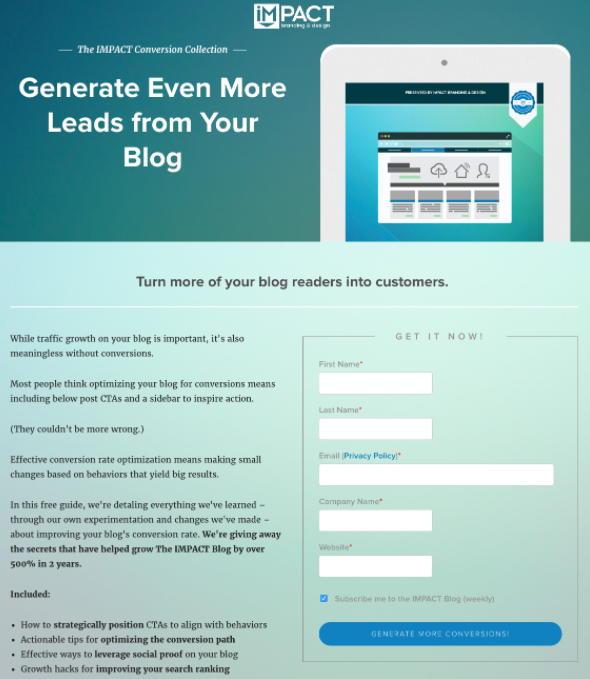 Nurturing this lead a little more will get you conversions. For instance, you can assign a new lead 5 points when they subscribe to your emails. When they click on the in-mail link and visit your landing page, another 5 points are added. From landing page, if they fill out that form and proceed to the main website, another 10 points. If they spend more than 5 minutes or 10 minutes, another 5 points. Like this, you keep assigning scores and keep a tab on which lead is most active. If they quit somewhere in between (say after landing page they quit, no points are assigned). Another facet of automation that helps in nurturing leads is landing pages. A landing page acts as the entry point of a website or a particular part of your website. Most automation tools come with drag and drop editors so that you can customize the elements of your landing page. IMPACT, a branding and design company, has always been an inspiration for designs. The landing page they create is simple, prominent, and soothing to your eyes. They have a detailed feature image, proper color coordination, all the elements to trigger further actions like subscribe to their blog. Landing pages are designed to urge your visitors to take the plunge while on your website. The first key to a good landing page is to keep the form short. If you are asking too many questions, your leads will bounce away. You cannot afford that. So, resort to progressive profiling where you ask the minimum questions like name, email address, location. The remaining information you gather over time. Many time, progressive profiling concept is associated with that of a date! To know more details, you can read this article from SmartBug- what is progressive profiling and how does it work. To nurture your leads properly, you need to create a proper workflow of your emails. Like, you need to automate the entire flow of your emails- which one will go when and how. This is a feature that is not just helpful but also saves a lot of time. At Aritic PinPoint, we provide automated email workflow feature so that you can concentrate on more important matters. Push notifications and SMS campaigns are two other ways of nurturing leads. Push notifications are quick notifications that appear either at the top of the screen or below (or wherever you want to) without hampering the browsing activity of your leads. You can send push notifications that are targeted and relevant using the Dynamic content. Dynamic content is a content type that keeps changing based on the browsing history, demographics, etc. of the leads. 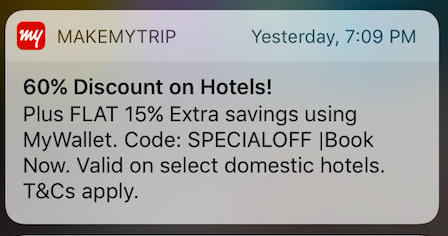 For instance, this push notification from MakeMyTrip – a travel itinerary portal. SMS campaigns, on the other hand, are a great way to nurture leads via mobile devices. When you receive an SMS on an offer from a brand, that triggers some kind of interest in you (especially if you are a frequent buyer from that brand). Staying connected to leads irrespective of devices is essential to improve lead nurturing. 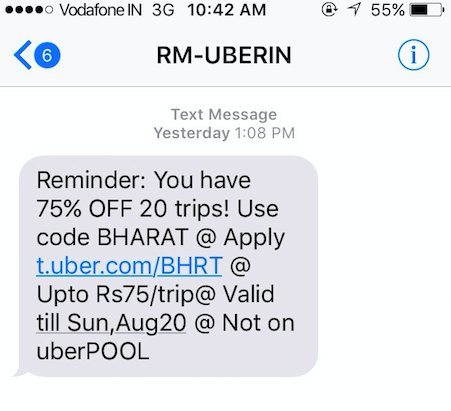 For example, this SMS from Uber reminding me of a discount code that I haven’t yet used. Messages and notifications like these urge a lead to check out more details and probably make a booking/purchase. Content is the core of any and every marketing effort. Whether you want to educate your audience or tell them about your product/services or launch an offer/contest- Content is the backbone. With an excellent design and bad content, you can never get results. Like I mentioned earlier in this post, every lead goes through three stages before hitting the ‘buy’ button. And the content matter for each of these stages is different. In the Awareness stage, leads are new to your platform. They are not yet sure if they really need your product/services. They haven’t yet subscribed to your blog or for your newsletters. After spending some time on your website and reading your content, they subscribe. But they are still not ready to buy. What follows next is educational content- content that will help these leads know more about the industry, the benefits, the various problem statements and their solutions, various resources, and likes of the same. Some content examples are: The next stage is Consideration. In this stage, your leads have moved one step ahead. They are now aware of the problems. Simultaneously, they are also aware that there are many solutions available. At this stage, they are considering possible solutions that will suit them. All these together, when sent in the right time to the right audience, will successfully create conversion for your business. It apparently looks like an easy task, but creating a good content to nurture leads is no cake walk! And to say the least, it is not just about creating a content piece. After creation comes distribution. If you are not distributing your content effectively, you are again missing out your leads’ attention. Without analytics and detailed reports, nurturing leads effectively is not possible. Unless you are measuring your efforts, how will you know what will help in improving lead nurturing? 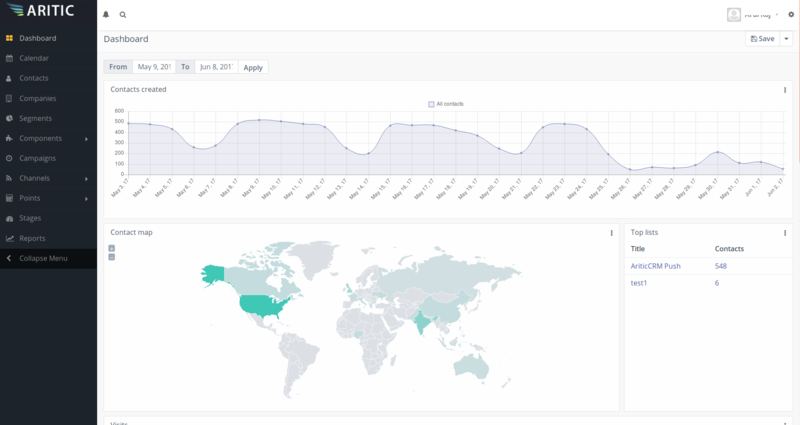 Detailed analytics, region-wise reports, time-span reports, live updates- all these features in an automation tool helps in deciphering the outcome of all your practices. If you see good results, you can continue; if not you will need to test more variants of each effort. We call it A/B testing– where you test your content, design, templates, CTA button placements, time, dates, etc. For instance, Aritic PinPoint offers region-wise/country-wise reports that are visually enriched and is much more detailed. All these efforts when put together helps in improving your lead nurturing. A marketing automation tool provides all these features to propel new leads into the marketing funnel and push them to the end where they convert. However, like I mentioned, lead nurturing doesn’t end even after the purchase stage. Rather, if you ask me, that’s where the main part begins. Holding on to your loyal users and keeping them satisfied is a challenge that needs a lot of attention. Pritha Bose is the Senior Marketing Content Specialist at Aritic where she writes and edits for their marketing and sales blog. She is an avid reader and a social media enthusiast. On the flip side, Pritha thinks the whole world is an artificial simulation, and one fine day the skies will open up and she will see who controls it. Very well written! Yes, you are right that lead nurturing is a great way to educate and entice the prospects. Keep it up. Since the lead nurturing is essential for nurturing the existing customers, it can be helpful to gain more attention from the leads. If the lead nurturing is implemented with the help of marketing automation, you can build relations with high-quality customers. Thanks a lot for updating the effective ways to improve lead nurturing with automation, as these steps will give us the power to develop favourable mutual relations with high-quality customers. Thanks for sharing such an informative article. I agree with all the useful tips discussed here and honestly believe that lead nurturing is the most critical marketing strategy as it helps us to convert our inbound traffic into real sales. Lead nurturing is the most important marketing strategy as it helps us to convert our inbound traffic into real sales. In other words, we can conclude that it is beneficial to prove potential customers through the sales process. Good post. Lead nurturing is far more important than producing new leads altogether. As already existing customers are more likely to stay than convincing someone foreign. This also helps divert more attention to the needs of the leads. Lead nurturing is very important for any marketer in B2B business to help in educating the lead and take them in a right path throughout their journey. They must be given all the special treatment they deserve. Yes, by using a Marketing Automation software for lead nurturing campaigns will give us the power to build mutually favorable relations with high-quality customers. Usually the biggest sales come from building strong relations slowly over time and automated lead nurturing campaigns helps to save time and resources. Thus the sales team can focus more on the sales qualified leads. This post certainly gave an in-depth look at how to best leverage marketing automation for lead nurturing. Undoubtedly a marketing automation software has it all. From scoring and grading to help in identifying the warmest leads, to automated alerts that lets our sales team know when to follow up! The results only depend on how effectively we use the tool and how appropriate it is for our requirements.